Thaland Road, Amphoe Mueang Phuket, Chang Wat Phuket, 83000, Thailand. 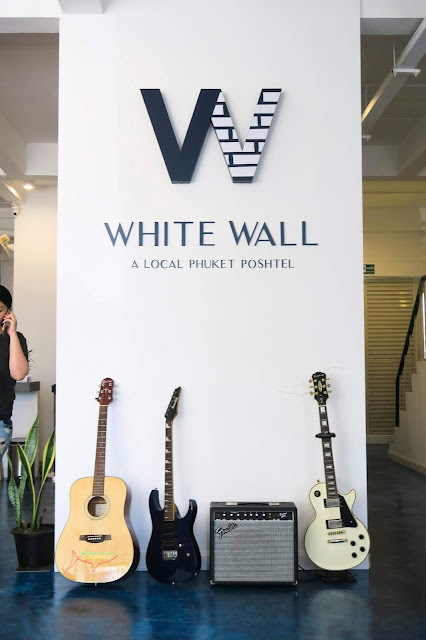 During our trip in Phuket we were very fortunate to work with White Wall Poshtel. 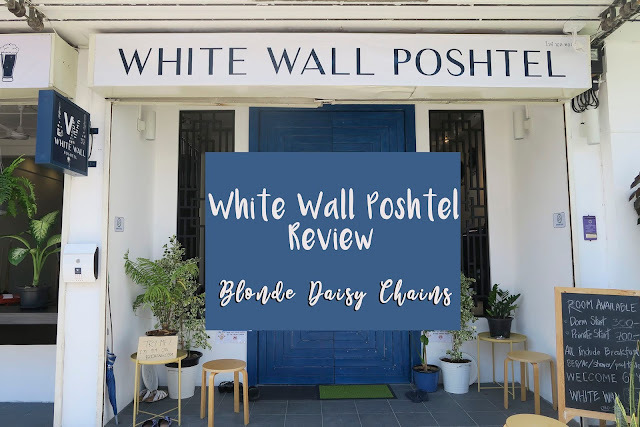 This is the first Poshtel we've experience during our trip around Asia and it did not disappoint.White Wall Poshtel is exactly that, Bright, Clean and pretty posh! White Wall Poshtel is located within a 2 minute walk of Phuket Town, making it the ideal place for you to stay if you want a real experience of Phuket. It's easy to reach bars, restaurants, the shopping center anything else you could possibly need during your stay - but also located in a small side street making sure you have an undisturbed sleep. Once arriving at the Poshtel you can see why it has a very high 9.8 rating on Booking.com. The architecture really makes the building stand out compared to other hostels in the area. The giant, deep blue doors draw your attention. Once inside the main lobby, It's very bright and clean - with the reception desk and large fish tank to the right, chill out area and best pool table in Thailand to the left. The lobby also doubles up as the breakfast area - it's the best place to meet the other guests and lounge around the poshtel. During our stay we had two separate beds in one of the 12 bed dorms. Although, once inside your bed you wouldn't think you were in a dorm. 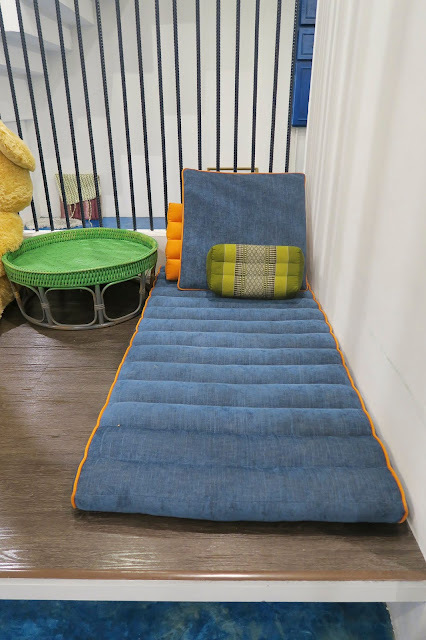 The beds were unbelievably comfortable and the duvet made us feel right at home. 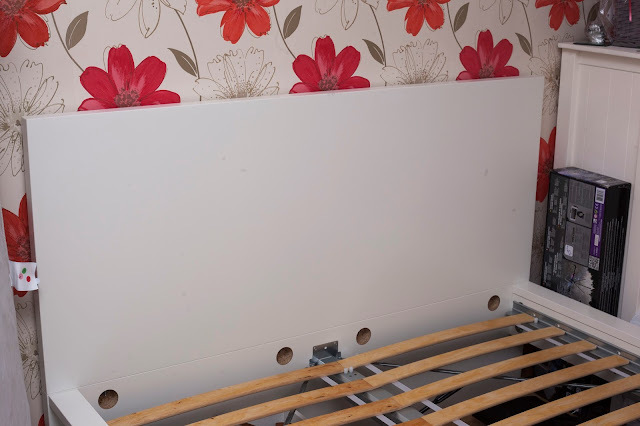 Each bed came with it's own under bed storage, reading light, plug socket and thick privacy curtain that completely blacked out the area making it easy to fall asleep. For those that don't want to stay in a large dorm - not a problem at all. 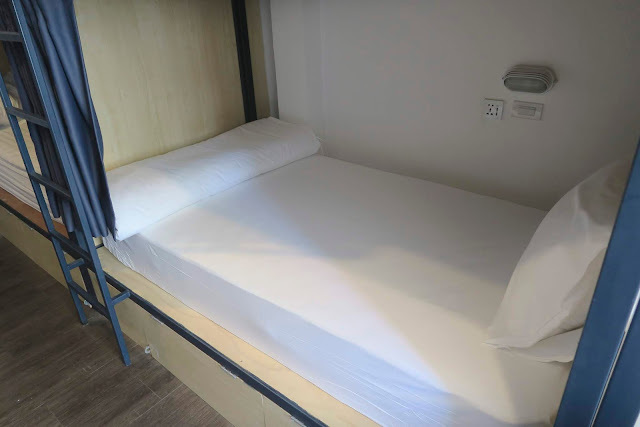 They also offer 8 bed dooms, double room and even a triple room (one double bed, one single top bunk). 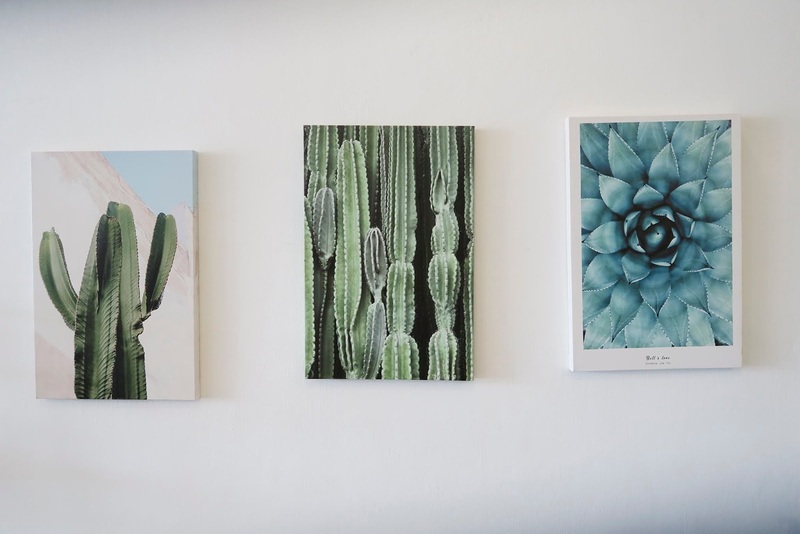 The rooms are minimal and simplistic with natural light coming in from the large windows at the front of the building to save you having to use the lights included in the room. The rooms all come with A/C and each floor has a bathroom, bottom floor is shared, middle floor is ladies and top floor is mens. 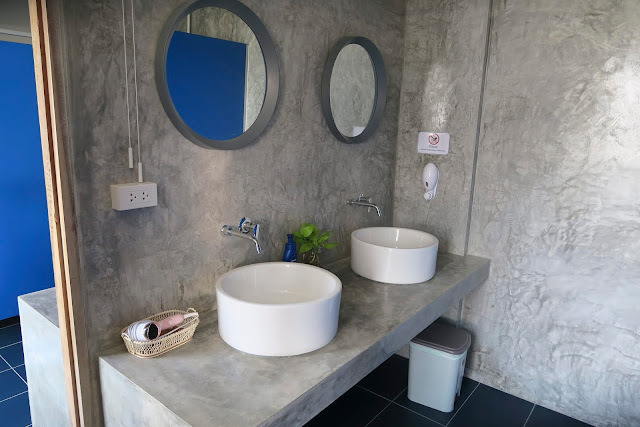 The bathrooms again are very clean and modern, with western toilets for those who were wondering - every time I went to the bathroom and shower area someone would come in straight after to clean which I found preferable. 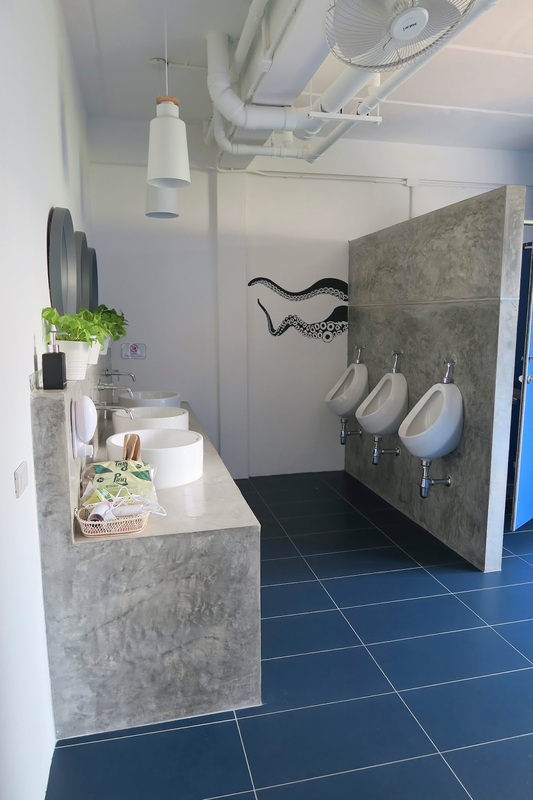 The bathrooms were decorated with the same royal blue accent walls and cubicle doors, concrete units and bright white basins. The showers included a perfect waterfall shower head (my favourite) aswell as shampoo and shower gel so you don't need to sorry about forgetting yours. (and the shampoo made my hair smell amazing for days.) Towels are available for 30 baht each and the showers were always hot and pretty powerful. Breakfast is served between 7am - 10am which was perfect for us late risers and even better was that it was included with the room, meaning you don't have to spend any more money. Breakfast included toast, eggs, bananas, snacks along with tea and coffee. There's plenty of room around the table for everyone and if you've finished your food but you're still hungry just simply asked for some more and they'll happily make some more. The staff were very friendly, we loved the owner Ping and his partner - nothing was every too much for them and they gave us the best recommendations for our short stay. Ping is also very modest, but very good at pool - so make sure you get a few games in. 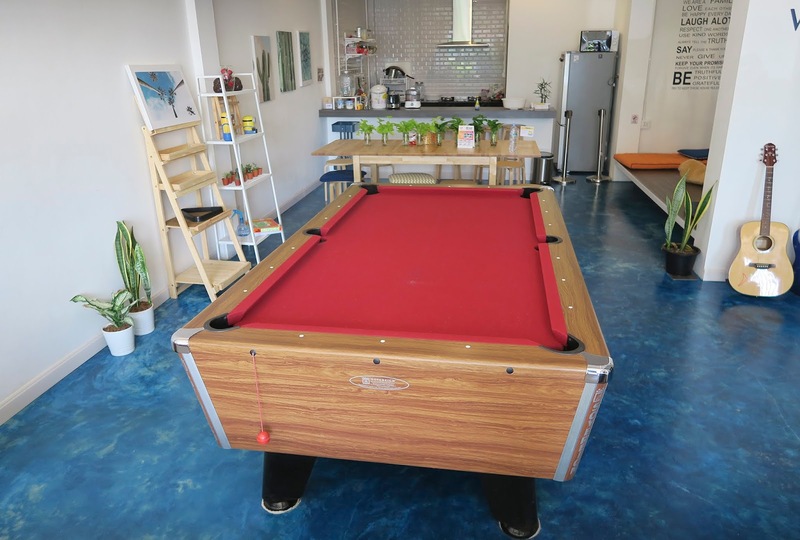 Overall, we thoroughly enjoyed our stay with the team at White Wall Hostel - everything was exceptional. The building, common areas, room and staff were the best we'd experience in Thailand and would highly recommend staying here. with prices starting at £6 a night (including the breakfast!) you'd be mad to miss you. TOP THINGS TO DO IN PENANG, MALAYSIA.